To receive email from Blues Festival E-Guide, add eguide@bluesfestivaleguide.com to your safe sender list. "World No Tobacco Day" is May 31 and aims to bring awareness of the health issues and dependency issues related to tobacco use. Smoking something has probably been around since the beginning of time but ultimately my favorite times "smokin" have turned out to be with the blues. Not only have countless songs been written about smoking and "smokin'" but there are many artists with the term in their name like Smokin' Joe Kubek, Reverend Raven & The Chain Smokin' Altar Boys, and festivals like Smokin' in Steel BBQ & Blues (MN), Smokin' Blues Fest (Nova Scotia), Smokin' Blues, Bikes & BBQ (FL) and more. If you have one, best to kick the tobacco habit, but please continue to enjoy the smokin' blues. Maya Angelou, the renowned poet, novelist and actress best known for her book "I Know Why the Caged Bird Sings," has died on May 28 at the age of 86. 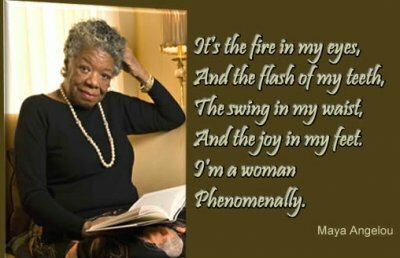 She embodied the definition of a phenomenal woman. Ruthie Foster adapted and added music to Angelou's poem, "Phenomenal Woman," and recorded it for her stunning 2006 release, The Phenomenal Ruthie Foster. Our Video of The Week features Ruthie and her band performing this amazing song live. Birthdays of note coming up: June 3 Memphis Minnie (1897), Jimmy Rogers (1924), Curtis Mayfield (1942); June 4 Tinsley Ellis (1957); June 8 Derek Trucks (1979), James Harman (1946). If you missed your latest (or any) copy of the Weekly e-Guide, you can find back issues in the Archives here on our website. 100,000 copies of the 12th annual Blues Festival Guide magazine are currently being shipped and being distributed for free throughout U.S. and Canada to mainly Blues Societies and Blues festivals. You can also order here. We are proud to have the Jackson Rhythm & Blues Festival as our 2014 Blues Festival Guide magazine sponsor and again, congratulations to our cover photographer, Marilyn Stringer. 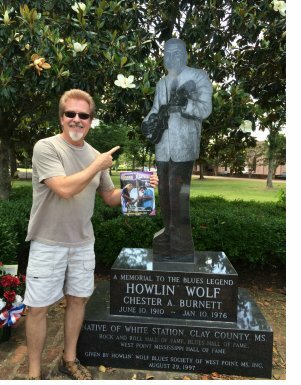 Richard Ramsey shows off his 2014 BFG with the mighty Wolf in West Point, MS. Richard is the Executive Program Director of the Howlin' Wolf Blues Society's project including curator of the Howlin' Wolf Blues Museum, Blues Trail Marker, Howlin' Wolf Statue, and Howlin' Wolf Memorial Blues Festival. 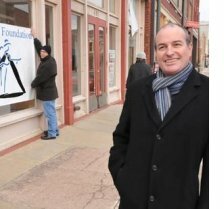 CORRECTION: Opps, we apologize for the omission of talented artist Dave Gross' name in last week's photo caption. *Enjoy the 12th annual magazine in digital format soon! Want a hard copy? Check with your local blues society, look for one at a blues festival or you can find our magazine order info here. Then start snapping those pics with the 12th annual Blues Festival Guide magazine!! 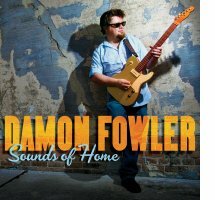 After spending much of the past year touring with the band Southern Hospitality, Damon Fowler is back with his third solo project for Blind Pig Records, Sounds of Home. Damon chose swamp blues master Tab Benoit to produce and record him at Tab's rural Louisiana home studio, and their collaboration has resulted in Damon's strongest effort to date. The tension between his measured, laid-back vocal delivery and the hallmark intensity of his guitar virtuosity has never been keener, and the stories told in his songwriting here - sometimes in collaboration with long-time writing partner Ed Wright and Benoit - exhibit a combination of depth, grace and humor very few of his contemporaries can match. 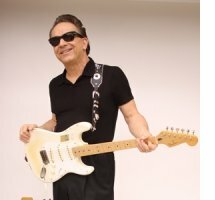 "Thought I Had It All"
Dallas singer, songwriter and infinitely creative guitarist Jim Suhler has been making extraordinary, vital music since the eighties, backing a who’s who of blues royalty, including George Thorogood live and in the studio for six albums since 1999. 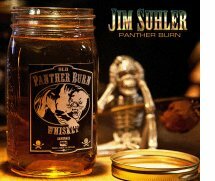 Panther Burn is the fifth release with his band appropriately named Monkey Beat, and it grabs the heart and mind and does not let go. The Thunder Bay Blues Festival is a world-class music festival that takes place on a beautiful location in Marina Park on the shores of Lake Superior - looking out at the famous Sleeping Giant. It features some of the best names in blues, roots, and blues/rock entertainment, while also showcasing the incredible base of talent that thrives in Northwestern Ontario. Over the past 13 years, the Festival has grown to the point that it is now respected as one of the best Blues Festivals in North America. 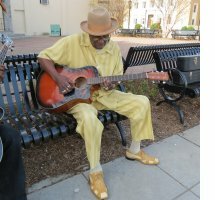 LENOIR, N.C. – The Pop Ferguson Blues Heritage Festival VI will be held on June 13-14 in downtown Lenoir, North Carolina. Headliner acts are Grammy nominee Phil Wiggins, John Dee Holman and Pop Ferguson. On Friday, June 13, performances will be held around town. The street festival will be held on Saturday, June 14. The festival is named after Pop Ferguson who was inducted into the U.S. Library of Congress and the Folkways Museum of the Smithsonian Institute six years ago. In 2015, he will be formally recognized during the opening of the new African-American museum in Washington, D.C. His son Clyde founded the Pop Ferguson Blues Heritage Festival six years ago and plays bass guitar with his dad. LITTLE ROCK, Ark. - Decades ago, unknown blues musicians paid $15 to appear on an east Arkansas radio station, hoping a few minutes of exposure would help them become the legends they now are: B.B. King, Howlin' Wolf, Sonny Boy Williamson and Ike Turner. 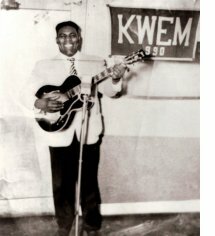 KWEM-AM fell silent in 1960 after more than a decade in the Mississippi River town of West Memphis, which musician Rufus Thomas then called "the Las Vegas of the South." Fifty-four years later, the station will be revived online this week by Mid-South Community College and on 93.3 FM by mid-August. Held on the first weekend following Memorial Day, the Western Maryland Blues Festival serves up an annual community celebration centered around one of America’s most enduring musical forms — the blues. The Kelly Bell Band will bring their original "Phat Blues" to University Plaza in downtown Hagerstown, Maryland May 28 (5-7pm) for a free concert to kick off the festival weekend. The Western Maryland Blues Festival will bring a full weekend of blues music to Hagerstown, May 29-June 1. 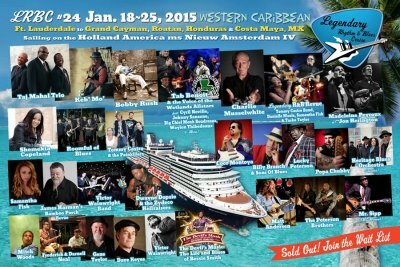 #24 Legendary Rhythm & Blues Cruise SOLDOUT! Join Waitlist... More cruises announced! The October 2014 LRBC #23 AND also the January 2015 LRBC #24 are SOLD OUT! The cabin Wait List for LRBC #24 started Monday, April 7th, so please signup asap if you are wishing to sail. A new contract for LRBC #25 has been signed with Holland America to sail Oct 24-31, 2015 aboard the ms Westerdam! The ship will sail from Ft. Lauderdale thru Key West (Fantasy Fest Finale) to New Orleans, LA, and then over to Cozumel. This itinerary was extremely popular last year and this cruise promises to be even more exciting aboard the Westerdam. 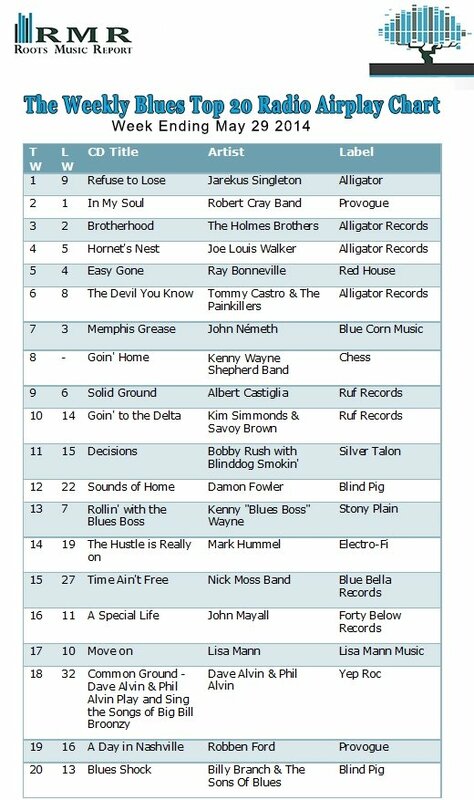 Pre-booking for LRBC #25 begins June 24th at 11am CDT so please mark your calendars if you plan to go Bluesin' with 20 plus bands and 1800 of your closest music friends. Pre-booking for January 2016 will begin sometime in September. More Than A Cruise... More Than A Festival... More Than You Can Imagine! 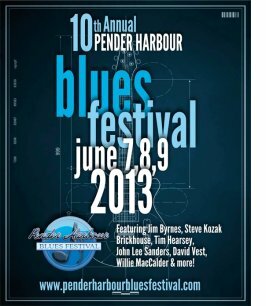 Coast Reporter - A stellar line-up promises something for everyone when the Pender Harbour Blues Society presents the 11th annual Pender Harbour Blues Festival June 6 to 8 in British Columbia, Canada. Performers include: James Har­man, Steve Kozak, Shaun Ver­reault, David Vest, Sibel Thrasher, Tim Hearsey, Doc Fingers, Michael Van Eyes, Joe Stanton, Simon Paradis, Jason Buie, Steve Hinton and Dave Paterson. Harman and Kozak will kick off the festival on Friday, June 6, at the Garden Bay Pub. And Verreault of Wide Mouth Mason performs at the Garden Bay Pub on Saturday night. The Blues Foundation is currently seeking qualified candidates for nomination to the Board of Directors. The nominating process opens on May 29, 2014 and ends at midnight on June 13, 2014. Tennessee musician Valerie June is a roots musician making waves with her album, Pushin' Against The Stone. Critics, fans and radio hosts alike are in blues heaven. Come give Valerie June a listen. She is something else. Valerie June... Next time in the Bluesmobile. Did you know that I do Custom Comic Strips & Comic Pages as gifts? To view our entire calendar of more than 500 festivals, click here! RBA Publishing Inc is based in Reno, Nevada USA. We are woman owned and operated. 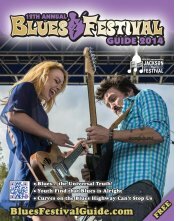 We produce the annual Blues Festival Guide magazine (publishing our 12th annual in 2014), affiliated with the top-ranking website: www.BluesFestivalGuide.com, and this weekly blues newsletter: The Blues Festival E-Guide with approximately 28,500 weekly subscribers. We look forward to your suggestions, critiques and questions. 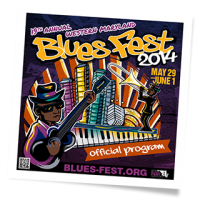 You can reach the E-Guide editor, Michele Lundeen at editor@bluesfestivaleguide.com or michele@bluesfestivalguide.com. Contact our home office to find out how to advertise in this e-weekly newsletter. Call 775-337-8344. Information both editorial and advertising in the Blues Festival E-Guide is believed to be correct but not guaranteed. Double check info carefully before you attend any event or send money for anything. We do not write the news... we just report it.